Preppy Nautical	No ratings yet. The preppy look is a style I’ve been trying to avoid most of my adult life. It’s definitely related to the mean preppies I grew up knowing and the feeling that preppy is so classic that it doesn’t usually feel creative. However, sometimes the preppy shoe just fits. 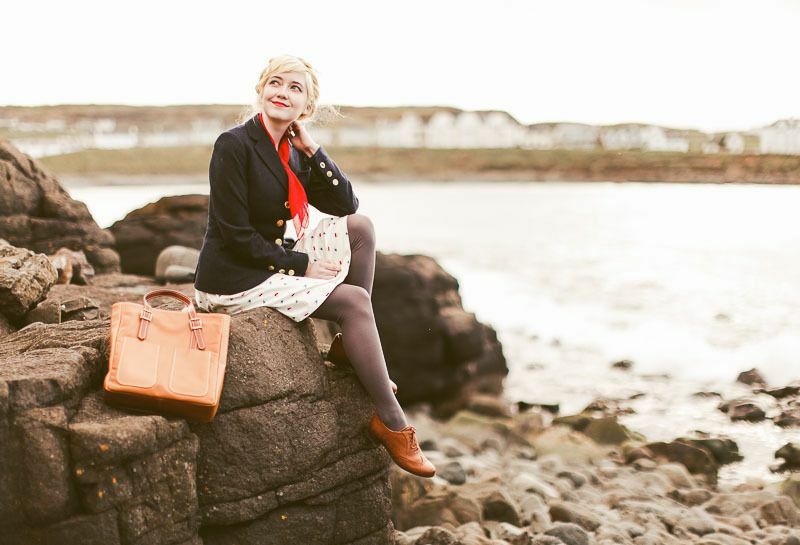 A navy blazer-style jacket and boat print dress? Match made in style heaven; they just go together. So, why fight it? I’m already addicted to my brogues but lately I’ve also fallen in love with classic watches and a perfect leather tote bag, more symbols of the preppy establishment! 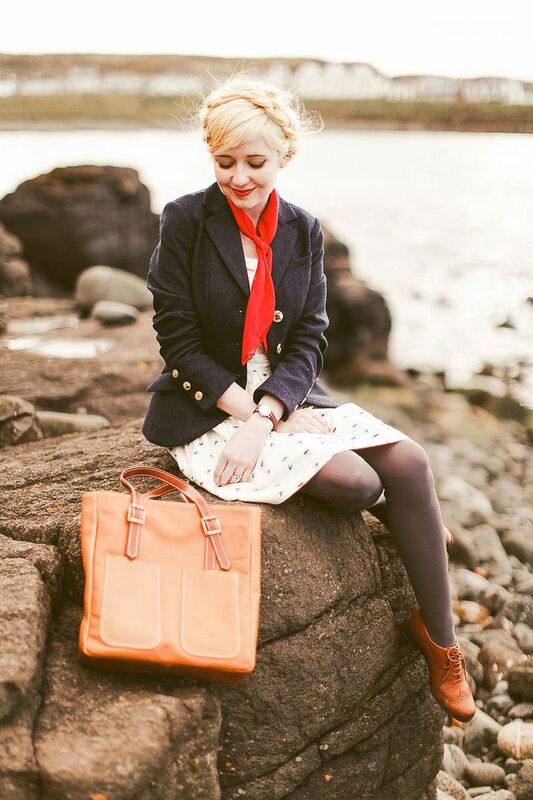 But it all does come together nicely in a timeless sort of look perfect for a day getting windblown by the shore. P.S. You can use code “ACLOTHESHORSE” to get 15% off on a Daniel Wellington watch of your own choosing. 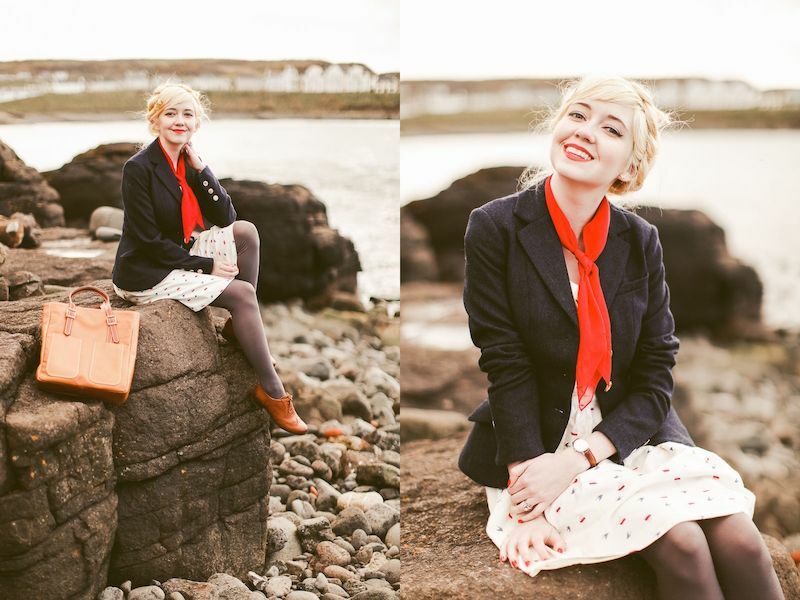 This entry was posted in Styling Opaque Tights and tagged A Clothes Horse, nautical, preppy, red scarf, white dress on April 30, 2016 by tightsreview.